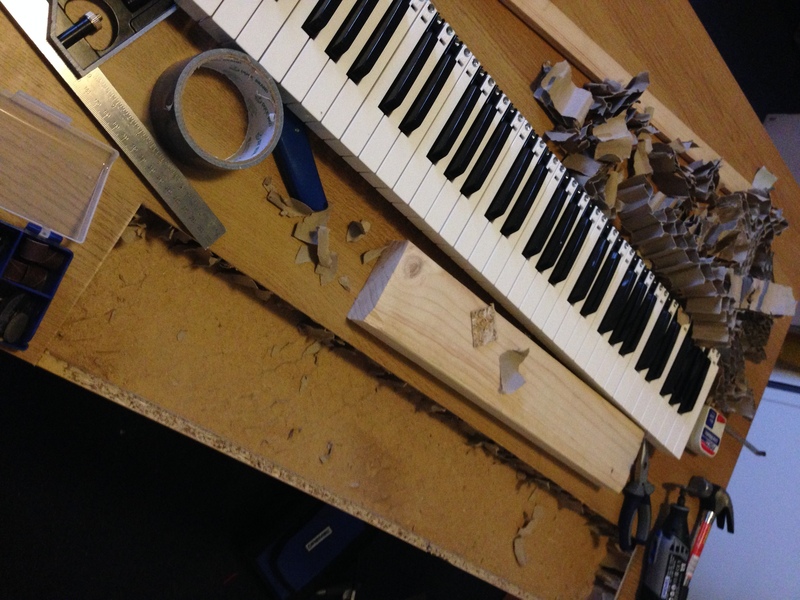 In early 2014 Matthew Herbert asked me to build him a custom instrument for his PRS New Music Biennial Commission “20 Pianos“. 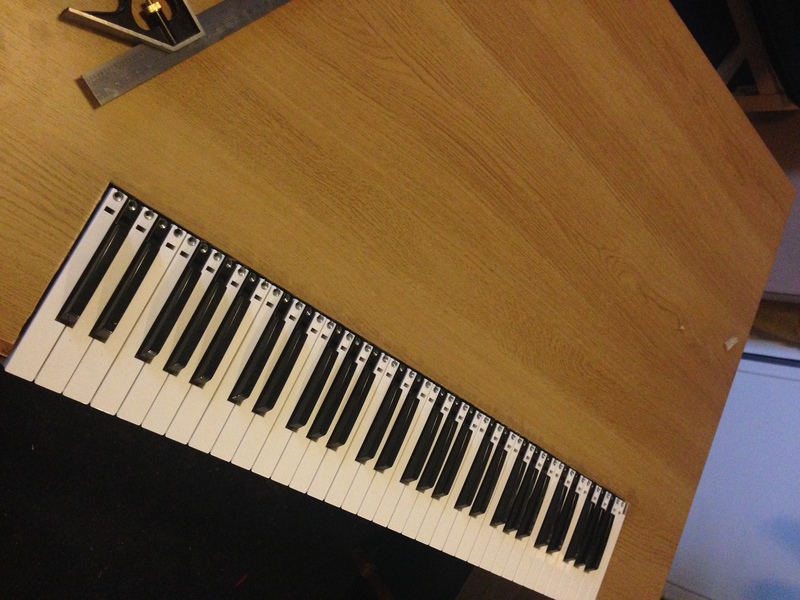 His composition was to be based out of samples taken from 20 pianos from around the world, from a piano in a prison to the most expensive piano in the world. 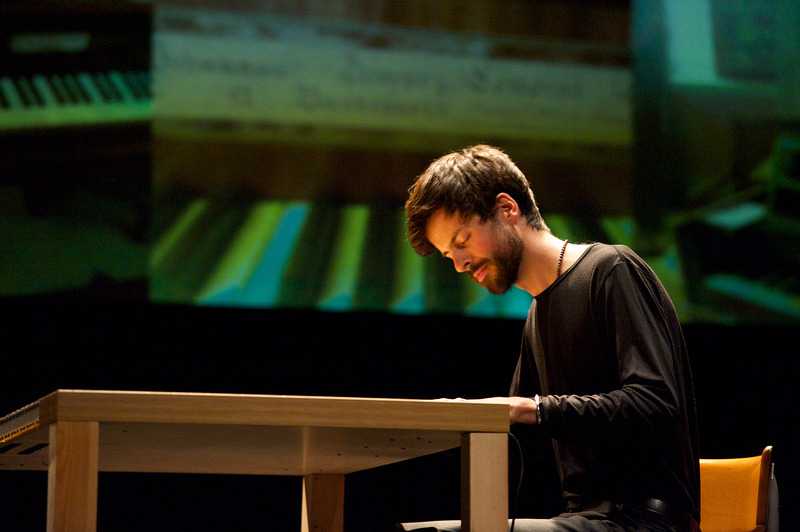 To evoke the spirits of these instruments he asked me to design and build an invisible piano. 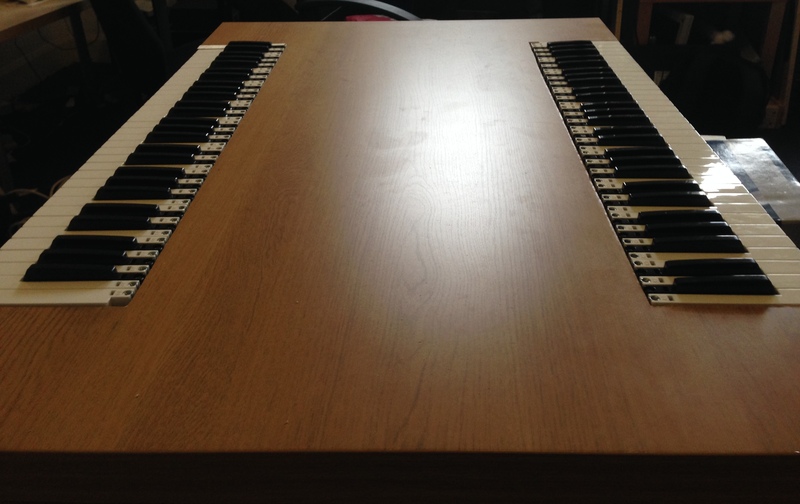 After going through a number of designs I decided to build a 61 key MIDI keyboard into a table, making the keys flush with the surface and covering them with thin wooden laminate. 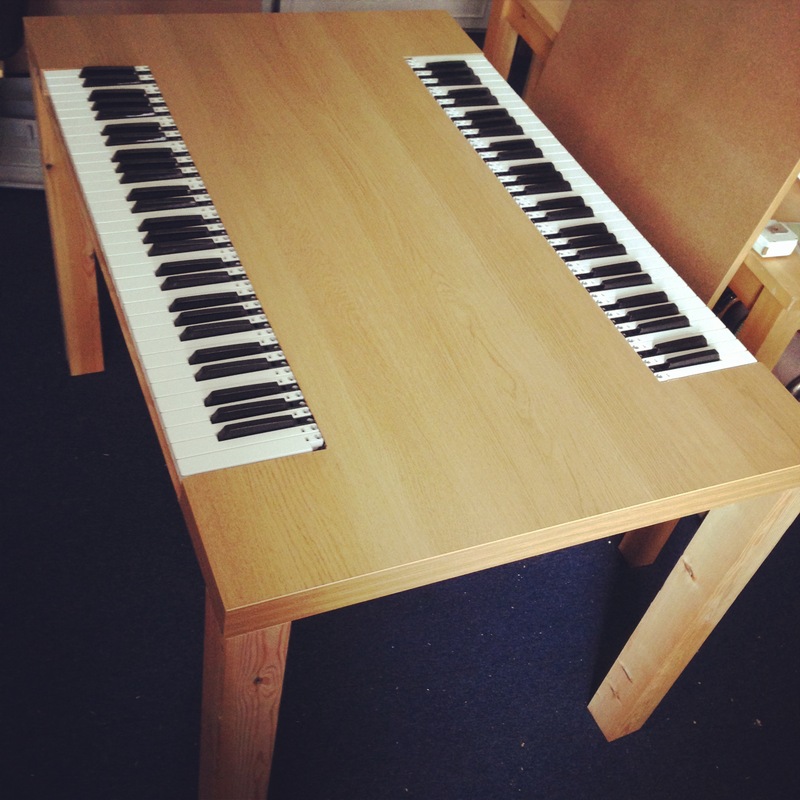 The table was big enough for two keyboards, so I built in a second invisible piano so that it could be used for duets as well. 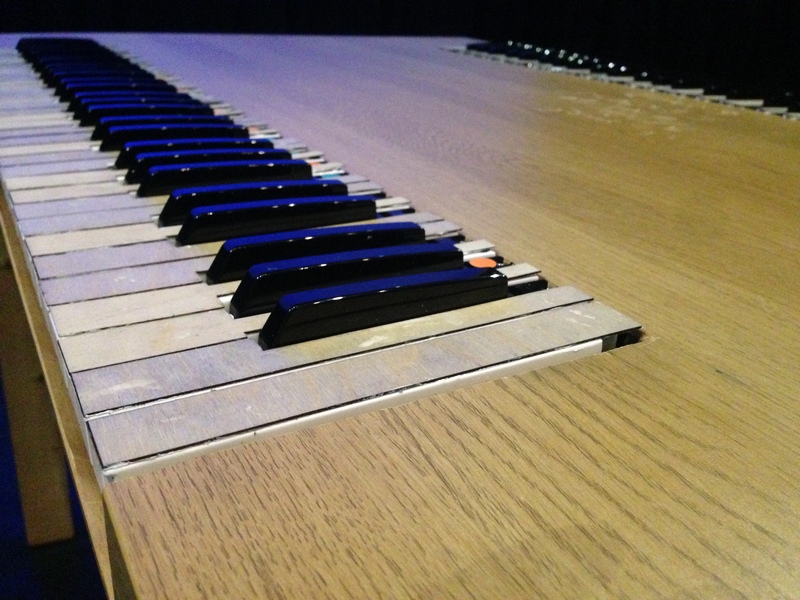 The table piano has gone on tour with the amazing Sarah Angliss and Sam Beste, who performed 20 Pianos as well as Piano Phase by Steve Reich and a number of other compositions. Special thanks must go to Hugh Jones for all of his help on this project. The project was produced by Third Ear. 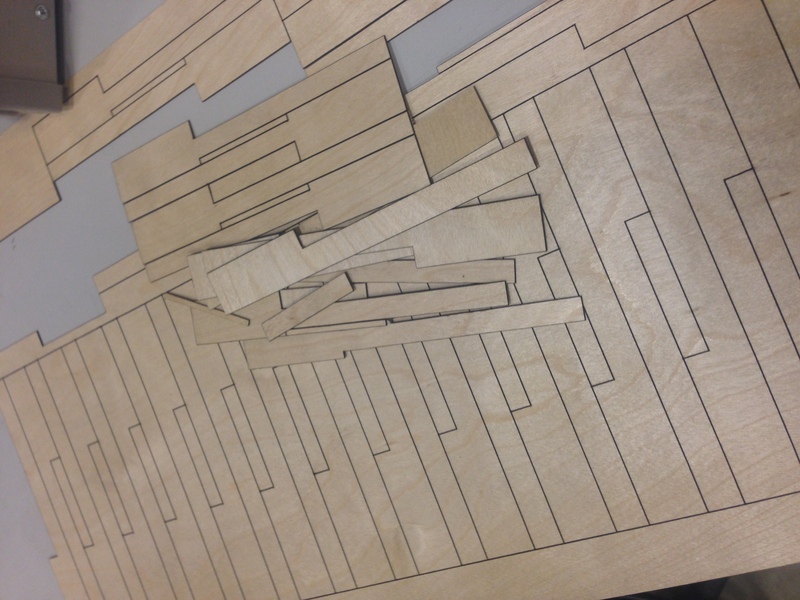 Here are a few photos of the construction, which involved a bunch of laser cutting alongside some good old fashioned hand cutting.